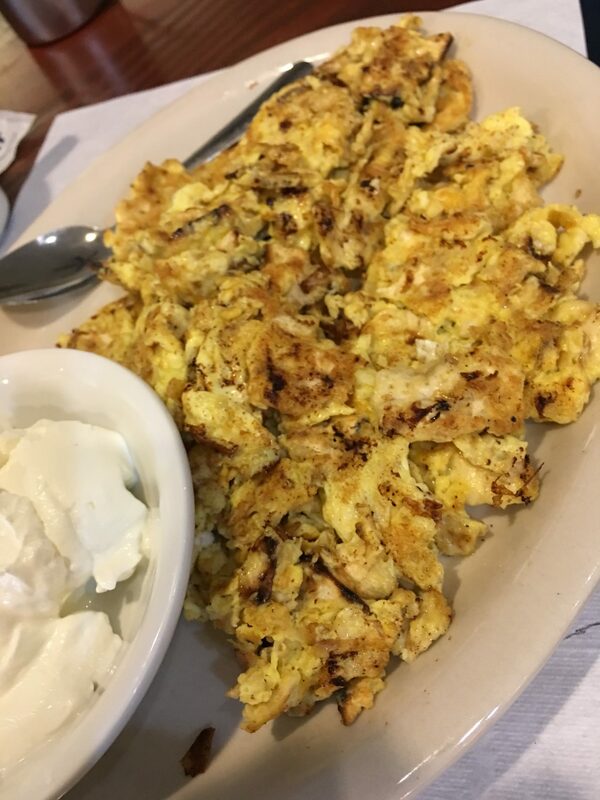 Matzah brei, also spelled matzoh brie or matzo brei, is a dish of Eastern-European Jewish origin made from matzah pan-fried with eggs. The dry matzah is broken into pieces, softened with water or milk, mixed with eggs and then pan-fried. It is formed into a cake, like a pancake, or cooked like scrambled eggs. It may be eaten savory or sweet. For savory, it can be served with salt, pepper and/or sour cream. For sweet, it can be topped with sugar, applesauce, honey, maple syrup or preserves. 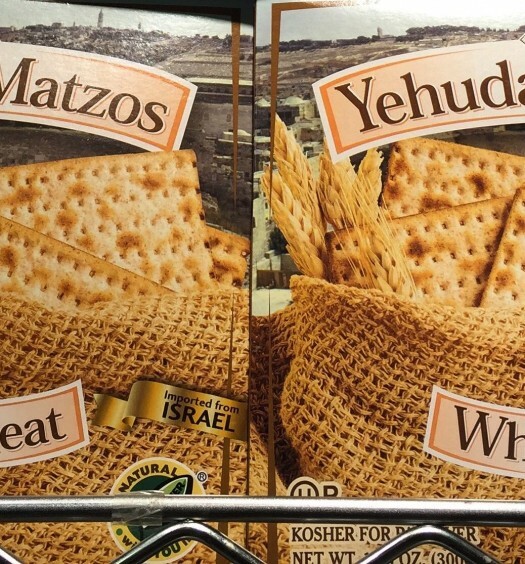 In accordance with Jewish dietary laws, if matzah brei is prepared with a dairy product like butter, it should not be eaten with meat. It is a traditional breakfast food during Passover, when only unleavened bread is permitted. However, some observant Jews will not eat it during Passover because they do not eat matzah that has come into contact with water. Bring a medium saucepan of water to a boil over high heat. Meanwhile, crumble the matzah into 2-inch pieces and place in a colander or sieve in the sink. Pour the boiling water over the matzah to scald (or brie), the matzah. Set aside. In a large bowl, lightly beat the eggs and season with the salt and pepper. Add the matzah and stir to combine. In a large non-stick frying pan, heat the oil over low heat until hot, about 2 minutes. Pour in the matzah-egg mixture and cook until golden brown on one side, about 5 minutes. To flip, place a large plate over the matzah brie and invert onto the plate. Slide it back into the pan and cook until browned on the other side, about 3 minutes. Serve hot, as a large pancake. 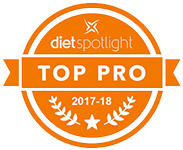 Nutrition facts per serving (83 grams): 212 calories, 8.9 grams fat, 360 mg sodium, 24 grams carbohydrates, 9 grams protein. 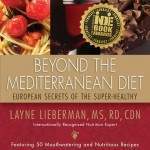 For more healthy recipes and to learn about the dietary secrets of the super-healthy, read my book– Beyond The Mediterranean Diet: European Secrets Of The Super-Healthy.